Battat Inc Produced 34 Beautiful Figures for The Boston Museum of Science: Sculpted by Dan LoRusso & Gregory Wenzel. Battat Inc produced some fabulous figures. Sadly now extinct. 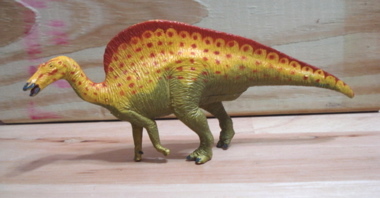 In 1994 Battat Inc, in conjunction with the Boston Museum of Science and paleo-sculptors, Dan LoRusso and Gregory Wenzel (The Dinosaur Studio) began their extraordinary series of 1/40 scale Dinosaur toys. 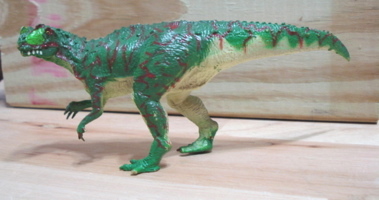 These combined accuracy of detail with bright, superior hand painted colors to create extremely realistic Dinosaur toys. 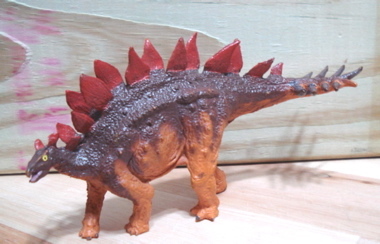 Exactly what I like in a toy Dinosaur. And these are wonderful toys. 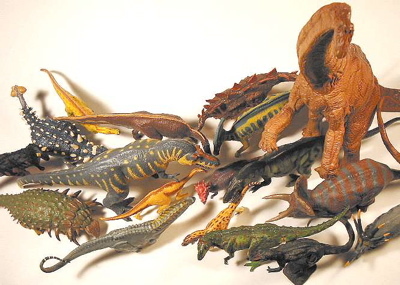 In some circles they are considered to be the best and most accurate Dinosaur toys ever produced and I really wouldn't argue about it. They just excite my imagination and take me to my own Dinosaur Planet. They were produced in three separate releases, 1994, '96 and the last in 1998. Battat has since ceased production and these figures now fetch a very hefty premium on the black market, ebay and anywhere else you hope to find them. A faint (and dear) hope. 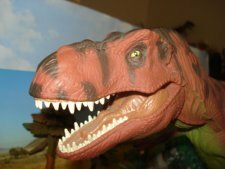 You can buy Battat Inc Dinosaur Toys by clicking here. Year of Release in parentheses. This line was clearly influenced by the Jurassic Park movie. Yes? These "miniatures" are exactly that, smaller versions of the originals. 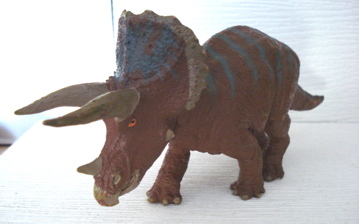 Unfortunately for me I have sold almost all of my Battats, holding on to small herds of my two favorites, the Styracosaurus and the Triceratops. These are almost too pretty to get dirty. 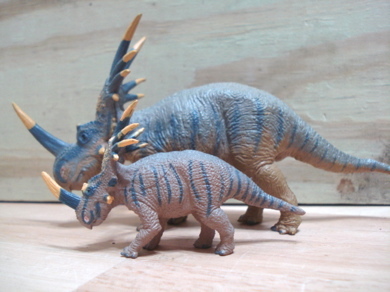 They are wonderful toys and respond well to running water. Their paint is subject to scraping so be careful and don't scrub.